Posted in Accidents by Mikhail Voytenko on Apr 15, 2015 at 19:05. Fish factory Oleg Naydenov sank at around 2245 LT Apr 14 in the vicinity of 27 32N 015 30W, 15 nm south of Maspalomas, Gran Canaria. 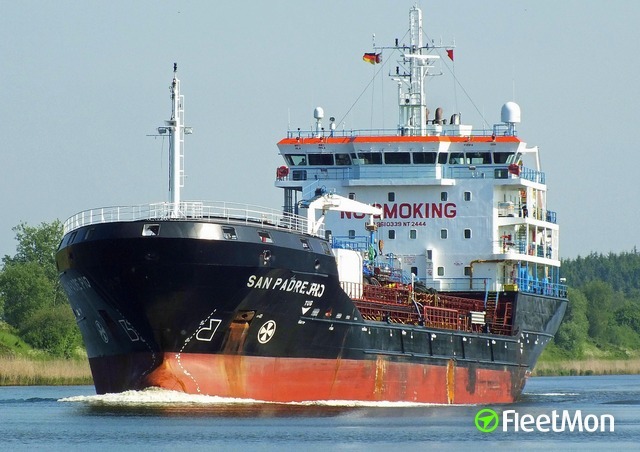 Vessel sank with a big quantity of fuel on board. Initially there were 1409 tons, part of it undoubtedly, burned out, but quite a lot remained in tanks and went to the bottom. An attempt to tow vessel to port failed, hull hermetic was breached by fire. In the morning Apr 14 condition of the vessel was reported as stable, list wasn’t increasing, there were no flames or traces of fuel leak. During the night Apr 11 – Apr 12 Las Palmas port authorities decided to tow fish factory Oleg Naydenov to ocean, fearing explosion and sinking. Firefighters weren’t able to extinguish fire because of extreme heat in narrow inner passages. 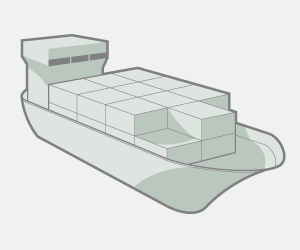 According to Harbor Master Pedro Mederos, there are 1,409 tons of IFO-380 fuel on board. Fire started in engine room in generators area at around 1330 LT Apr 11, when vessel was preparing to set sails and head for Mauritania waters for fishing. Vessel was to depart Las Palmas at around 2000 LT Apr 11. Naydenov was towed to the ocean by salvage vessel Miguel de Cervantes (IMO 9320116) of SASEMAR Co. (www.sasemar.es/) and tug Boluda (tugs are numbered, number not cited) of BOLUDA GROUP. SAR offshore tug Punta Salinas (IMO:7931894) reportedly left Santa Cruz de Tenerife and presently is on a standby near burning and drifting fish factory. 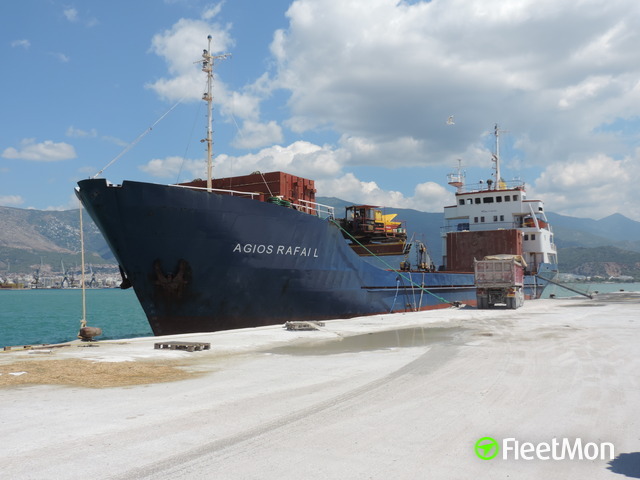 Oleg Naydenov was towed some 30 nm east of east coast of Gran Canaria, the plan is to wait until fire burn itself out, and if vessel stays afloat, board her and assess damages. It is understood, that the vessel is burning and drifting, with 10 degrees portside list. On a photo burning Naydenov under tow. 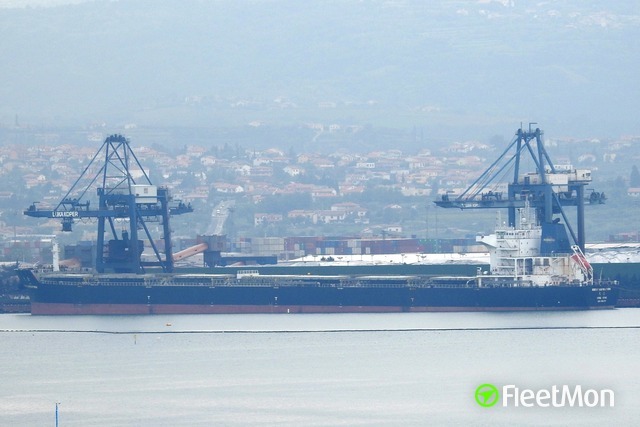 Fire erupted in a boiler in engine room of fish factory Oleg Naydenov, which is docked in Reina Sofia, Las Palmas, Canary Islands, at 1330 LT Apr 11. There was a lot of smoke, seen around the city. City fire teams and tugs were engaged in fighting fire, fire was put under control in the afternoon, but reportedly, cooling and ventilation should take several more hours. Vessel called Las Palmas for supplies replenishment.